First off, thank you for all the delicious recipes and practical suggestions you share on your website! As I type this, I have eggplant roasting for your lighter eggplant parmesan recipe. On another note, I reached goal today on WW, so I am celebrating.!! 🙂 Along with the eggplant parm I’m making your oven chicken parmesan…bye, bye weeklies. But at least I’m celebrating with skinny taste and not Baskin Robbins!! My husband and I and our daughter and her husband (all of us are on WW, btw) are heading to San Juan in 15 weeks for our cruise. Your suggestions are great and we look forward to implementing them on our trip. That is an amazing accomplishment Holly!! Great job!! Enjoy your cruise! Thank you! These are some great tips! It’s so easy to lose track of exercising on a vacation, but these tips make it seem easier to stick to a regiment and still have fun. Thanks for sharing! Thanks for the tips. On our last Disney cruise I always took the steps, tried to not overdo meals and limited myself to one alcoholic beverage a day. I will be doing that on our upcoming RCCL cruise in July. My weakness is desserts!! I need to psych myself up for some self control. Also love your recipes! ???? 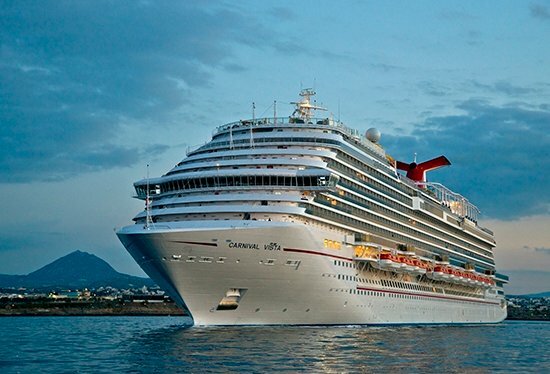 I’m a Carnival Cruise junkie! Our October cruise was cancelled, but will be going in April. I cannot wait! I definitely plan to eat more of the fresh foods, and I’m staying away from chocolate melting cake, ha ha. Thanks for the wonderful tips and the pics of the Vista. I can’t wait to get on her sometime! Loved this article. I’ve been on 3 cruises. 2 while single and 1 for my honeymoon. Worked out and took the stairs on all 3 and didn’t gain weight…but those were my 20’s! Now in my late 30’s I’m Going on a Disney family cruise in December with my hubby, along with our 3 & 6 year-old. I need all the help I can get! Thanks for sharing! BTW I love every recipe I’ve ever made by you! You rock!???? Have fun, my pleasure and THANK YOU!! All good tips! 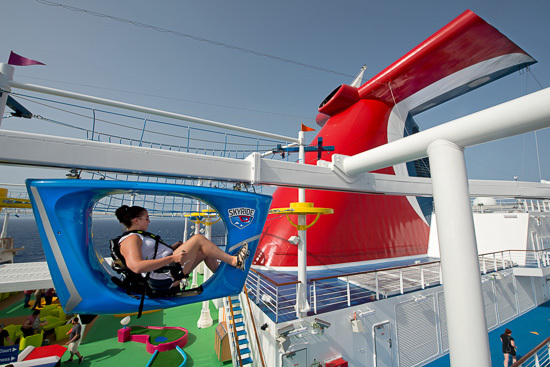 I would also add that many cruise lines offer tours that are for the more fitness-minded. We’ve bicycled across islands, kayaked in Iceland, gone horseback riding…and that’s in addition to just walking all over Europe! I loved seeing your photos from the cruise!! These are such great tips and I agree with you–balance is key! I always try to pick one meal to be richer/more special (and for me, it’s usually dinner), and then make the other meals a little lighter. And it doesn’t mean you can’t have a few bites of croissant with your eggs and fruit at breakfast, or a few bites of creme brulee with lunch, but don’t go all out at breakfast AND lunch AND dinner; choose one. Dancing is how I burn off calories! 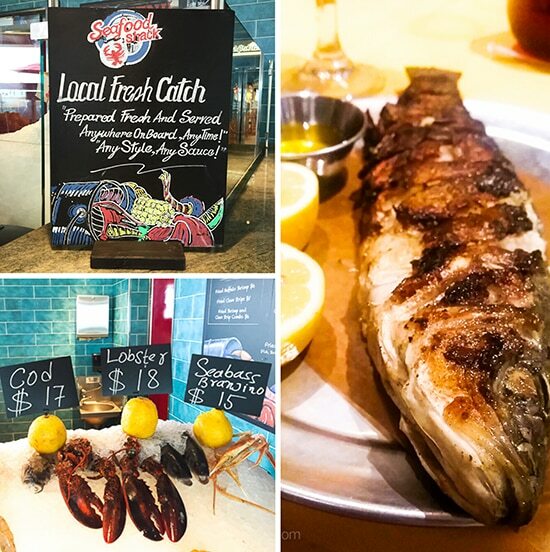 Between that, and all the walking, and the wonderful seafood options (think of how much they would cost at home!). I’ve cruised a total of 79 nights in my life so far, with another 12-night planned for this fall, and haven’t gained weight from it. I really enjoyed this post Gina! I’ve been on several cruises and unfortunately excersising wasn’t very appealing. It was difficult for me to get pass the rocking of the boat. I did find that eating small portions throughout the day was key for avoiding weight gain. I was lucky this cruise was pretty smooth, I am so glad you enjoyed reading this. Going on Vista in July Athens to Barcelona – your article was exactly what I needed to see today!!! 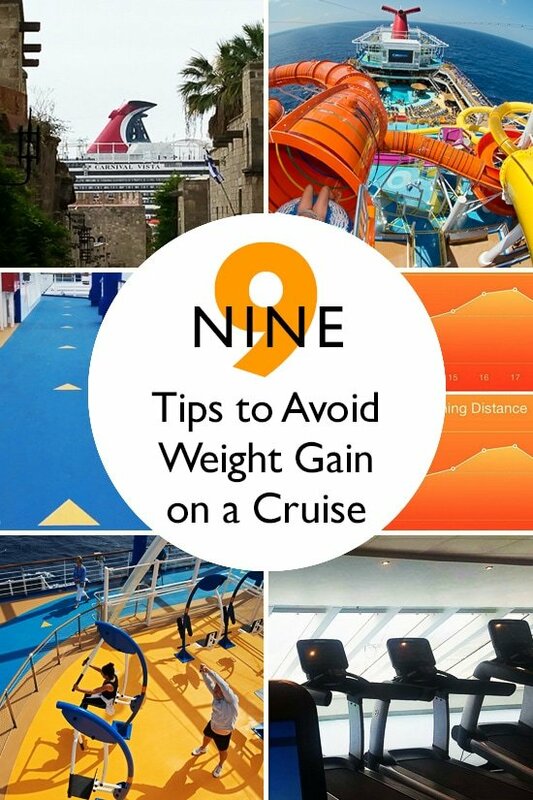 I used to lose 3-5 lbs in the weeks before cruising and then made the entire trip about overindulging….definitely the wrong approach! Now I just bite the bullet and get on that treadmill every morning, STAIRS ONLY/ELEVATORS FORBIDDEN, and no buffets ever. 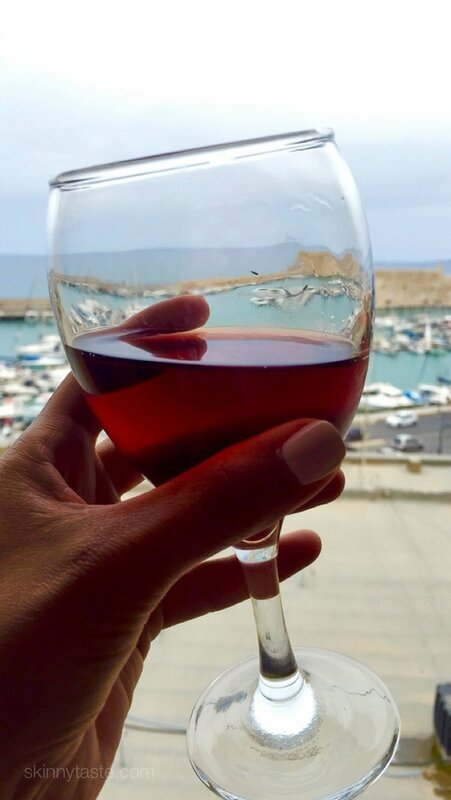 It’s not as bad as it sounds….I have a fruity decadent drink by the pool everyday, enjoy whatever delicious meal is offered in the dining room at mealtimes and most definitely have a glass of wine with dinner AND the dessert. If I want to stay poolside during the lunch hour, I ask a family member to bring me a plate….even a slice of pizza or small burger is better than the damage a buffet can do to me!! You know, I really have to compliment you on this partnership. A lot (virtually all) of the sponsored posts I read on other blogs feel so forced, especially when the sponsor isn’t closely related to the theme of the blog. You’ve managed to create some truly authentic content. Kudos to you, and I’m glad you got such a wonderful trip! Great tips, we are off to Greece and Rome this summer. We aren’t cruising but will keep your tips in mind. I especially like the focus in your post (and helpful comments!) about filling up on foods that are smart choices. For us that will mean a filling breakfast and keeping an eye out for fresh fish and grilled options. Thanks again! Great post! 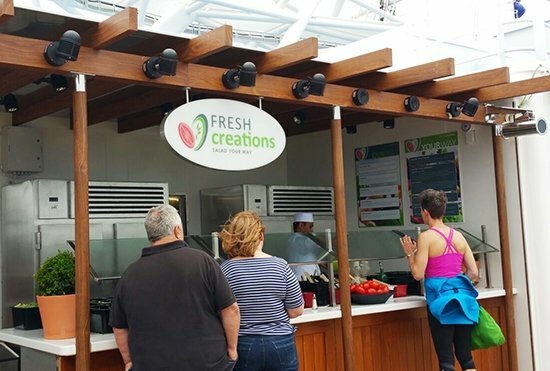 I love cruises, but I know what you mean about the food. It’s so hard when it’s always available. Making healthy choices and adding in exercise are great tips. I really enjoyed all your Instagram pictures of your trip! It is a trip I hope to take one day. Thank you for sharing them! I have been on several cruises and love them. As a foodie, I appreciate the tremendous variety and quality of the food, but have to manage my desire to try everything! We employ the tips you suggested, which are all right on point, In addition, I have a few others. – I pick one meal per day to really enjoy. Breakfast and lunch (for me) are not as exciting as seeing the dining room menu! So I usually do fruit and yogurt for breakfast, and something light for lunch. Then I make smart but enjoyable choices for dinner. – We always take the stairs, for sure. When we’re in port, we try to go for a walk to explore town in addition to whatever excursion we have planned. 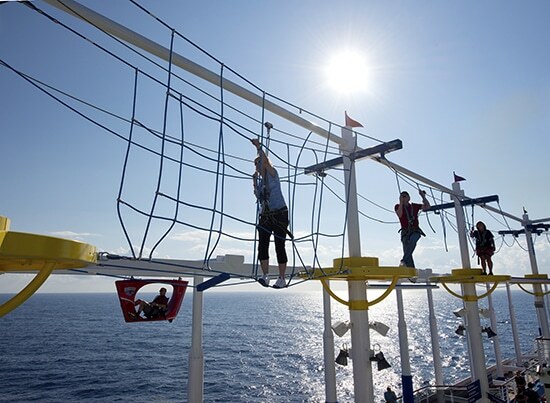 On our sea days, we do 2 miles on the deck. – My favorite naughty treat is a burger and fries. I allow myself one day to enjoy that treat (usually the last day). Then I don’t feel deprived, but I also don’t run amok eating it too often. – Instead of grabbing dessert during the day, I get a baby cone of soft serve yogurt. It fills the sweet tooth (and tastes great in the heat!) but it’s a pretty reasonable treat. – and if I’m tempted to be bad, I ask myself, “Will it be worth it when I get home?” Usually the answer is “no” and I am no longer susceptible! If the answer is “yes,” then it must be pretty darn good and I go for it! But that simple question keeps me from making a lot of mistakes. Enjoy your cruises -they are great fun! All great advice! Thanks for sharing, I split the Guy’s burger with my 6 year old, those are dangerously good!!! I’ve only been on one cruise but came home 3 pounds lighter. It was great having all those fresh fruits and veggies all cut up and ready to eat! That’s wonderful, yes can’t beat having all the fruit prepped for you. Your article provides some practical and simple ways to live enjoy the journey. Implementing these changes isn’t always easy, of course, but your site also give readers the inspiration to follow these steps not only on a cruise but also in a daily life.. Thanks Kate, and so true.. many of these tops can be followed on any vacation. My husband and I pick a room that’s about as far away from the food options as possible. On celebrity, we stay at the front of the ship and then have to walk all the way to the back for every meal. It’s an easy way to make sure you are getting your workout in and don’t pop into the buffet for a snack! That’s great. 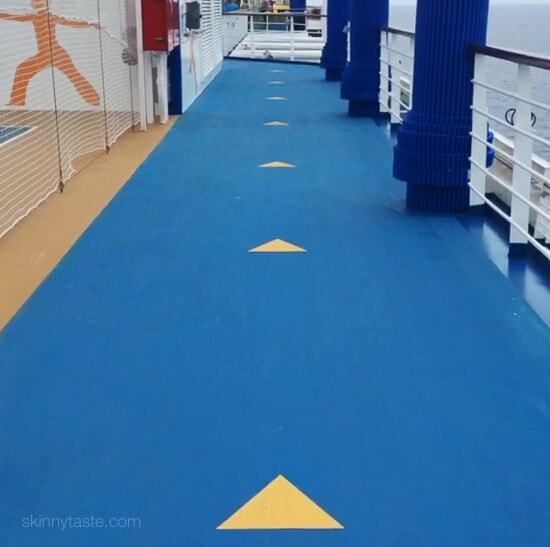 On Carnival Vista, you really need to walk a lot because everything is far away (which was a good thing). I’ve been on many cruises and my rule of thumb is to always take the stairs. And just because there is food all the time doesn’t mean you need to eat all the time (24/7). I also try to balance things. 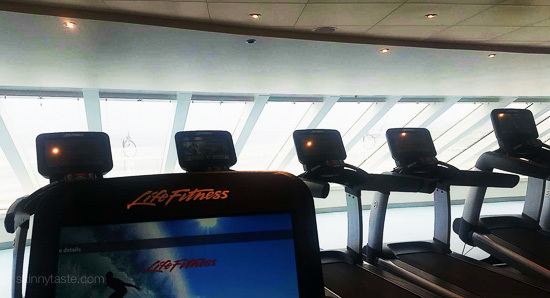 On my first cruise I followed only tip #7 – take the stairs – and I lost 5 pounds while eating & drinking whatever I wanted! Just get off the elevator two decks or more from where you are going and take the stairs. Five cruises over 11 years later and I’ve never gained a pound on a cruise. 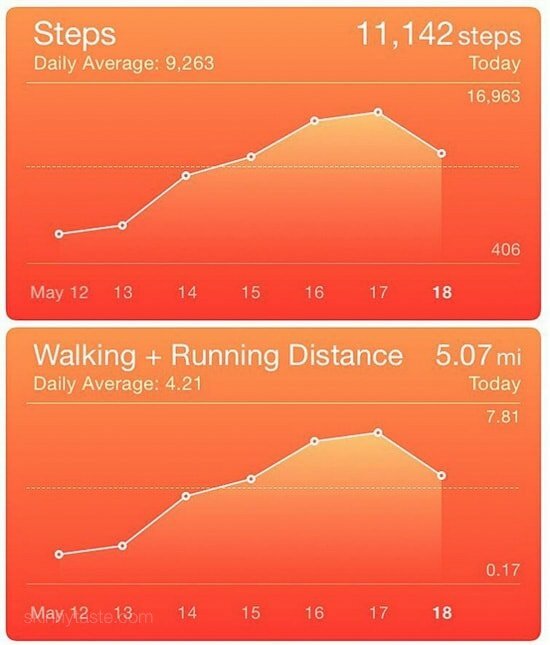 I did nothing else, just walk up/down a few stairs. As long as you can physically handle it, it’s simple! Enjoy your cruise. Great tips! If only I can stick to that when I’m on vacation!!! Not always easy, but I had that mindset before I left which I think helped a lot! Thanks again for the words of wisdom. Not only is your blog my ‘go to’ for meal planning, but now helpful and practical tips for vacationing. Sadly I didn’t follow your suggestions on our last cruise but have learned my lesson and will do better next time. Thanks for your website, keep up the great work! I didn’t on my first and learned from my mistakes. Happy these tips were helpful! I have been on a ton of cruises, but in 3 weeks I am going to my first cruise, while hoping to stay on plan. I found a these tips so helpful and it made me even more excited! Wonderful, so happy they were helpful!